LatinaLista — On March 14, New Jersey high schooler Natasha Vargas “slammed” the audience at the New Jersey Performing Arts Center — and they loved her! 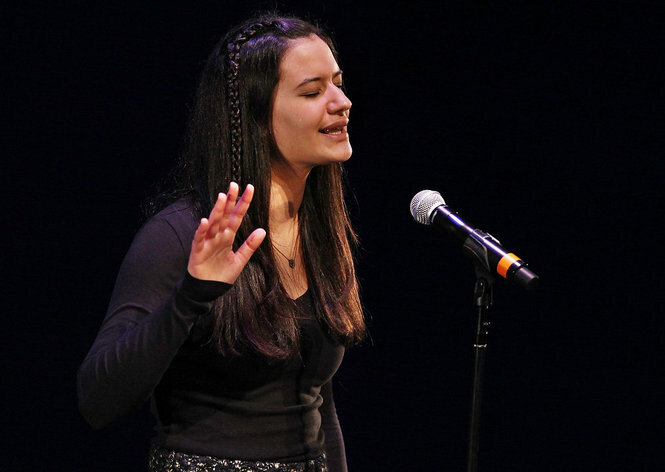 Vargas was competing in the national Poetry Out Loud state competition and captured the state championship securing her entry into the finals of the national recitation contest. Vargas delivered a moving presentation of “Ecology” by Jack Collum. Previous Post Guest Voz: Fasts Across the Country for Immigration Reform: Will You Join Us? Guest Voz: Fasts Across the Country for Immigration Reform: Will You Join Us?